The MG6 hatchback will be the first all-new MG model to go on sale in the UK since the 2001 MG ZS and ZT, according to sources at Chinese car maker SAIC, which owns the MG Roewe and Ssangyong brands. 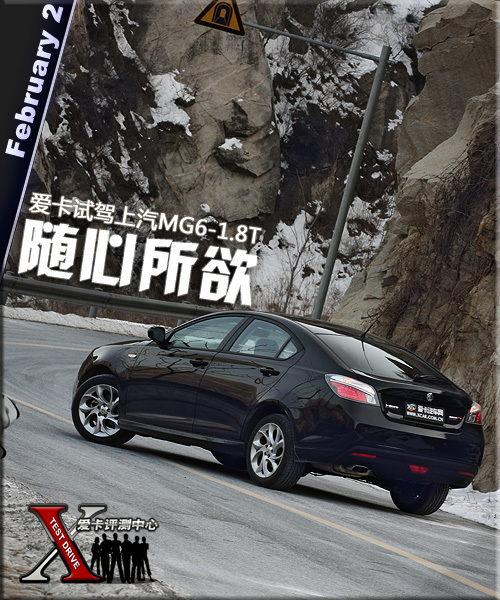 Both the hatchback MG6 and its saloon sister car (which is currently being sold in China under the Roewe 550 badge) will be launched in the UK and Ireland. Both versions will use the MG badge say sources, and the most popular engine is expected to be the N-series 1.8-litre turbocharged engine, an updated version of Rover’s K-series engine. The cars are expected in the showrooms by early 2011. Stringent EU crash test standards have proved to be the downfall of previous Chinese-made cars, but the MG6 is actually based on a re-engineered version of the robust Rover 75 platform. It was only the lack of standard-fit headbags that prevent the 75 from becoming the first car to be awarded five stars in the NCAP crash tests. The SAIC Motor UK Technical Centre has carried out most of the engineering and styling work on the car. SMTC UK has recently moved from its base in Leamington to the Longbridge factory site. Industry reports from China say that SAIC is also planning a new small car range – including a small saloon and crossover - based on an all-new platform. Around 200,000 of the cars will be built annually at a new plant in Nanjing, and are likely to be badged Roewe 350 in China and MG5 elsewhere, though there is no indication whether the models will make it to Europe. This is not an MG! and as a car does not look all that appealing, however you have to give the chinese credit for trying and in a few years when the whole of china has bought into the suedo MG brand they will be producing some cars that may well compete on equal terms with the best of the European cars. And how much more performance is yet to come from the 'N' series in this car? it can only muster circa 150bhp!! More than adequate for most and far too much for some, Jon. If they've improved the this engine from it's K series days, thats got to be a good thing, it is a good smooth, innovative engine. If it's built well, it will sell. MG Marque or not. Yes Only! given thae engine has a turbo strapped to it the reported output is low by modern European standards. Got a picture from second owner at the city of southern China. Looks not bad. And I disappoint that I cannot use the Gov. Scrappage scheme to buy one of this. Add a little more pic. Without a diesel option it has no chance of selling in Europe. Not true. Might not sell millions but it will sell just fine. Especially in the UK where we might be stockpiling unleaded but relying on imports from Russia for diesel, especially in the South East. I've never bought a desel because the price premium has never justified the additional outlay over petrol, and I prefer the free revving nature of most petrols. I have a great diesel car, good engine etc, but I chose it because its a company car and was cheaper on car tax. Private buyers you'll find buy more petrols and currently there is a swing away from diesel in the UK, albeit not a large one.